Hello everyone I'm just popping in to show you my card for this week's Less is More challenge which is to use Washi tape. Love the washi tape here in the background. I always struggle wear to put washi tape on my cards but I do love this! 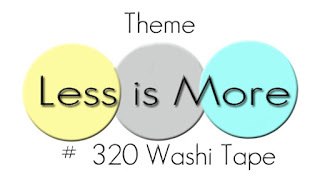 It was a great idea to make your own washi tape with double sided tape. Its a fantastic card and a lovely silhouette image. great image...wonderful use of the washi! OK Clever Clogs! Making your own Washi Tape??? Wouldn't know where to start! But this looks soooo good - and I love the image! 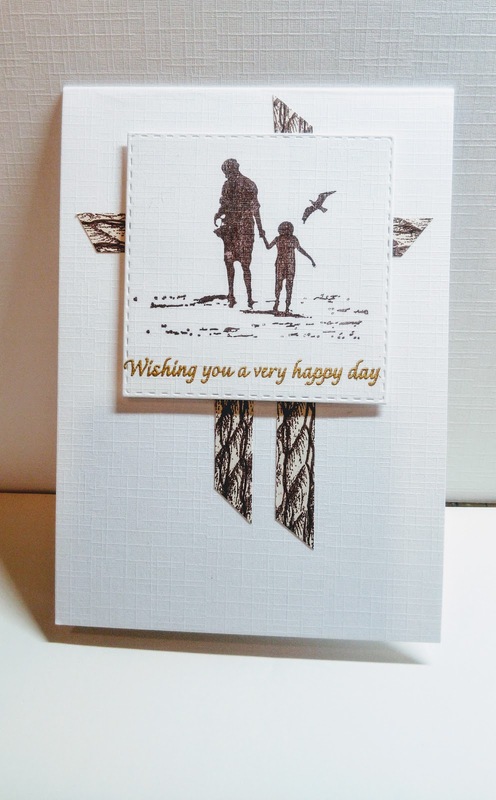 so clever to make your own washi, val... really fabulous card!! I love this image and how you used the washi, Val! The limited colour palette looks fabulous.